This view captures the front of the Chapel with Oakdale visible in the distance. 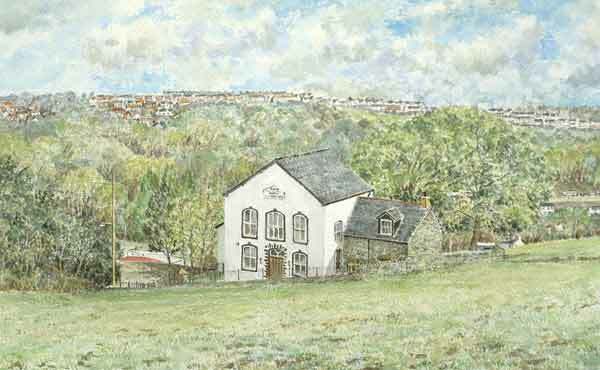 The main Blackwood to Tredegar road can be seen on the left and those who know the area will picture the country lane alongside the chapel which leads to The Maes Manor and on up to Saint Sannan's church, Bedwellty. Hello, my print arrived this morning in perfect condition; I am very pleased with it. Thank you very much.